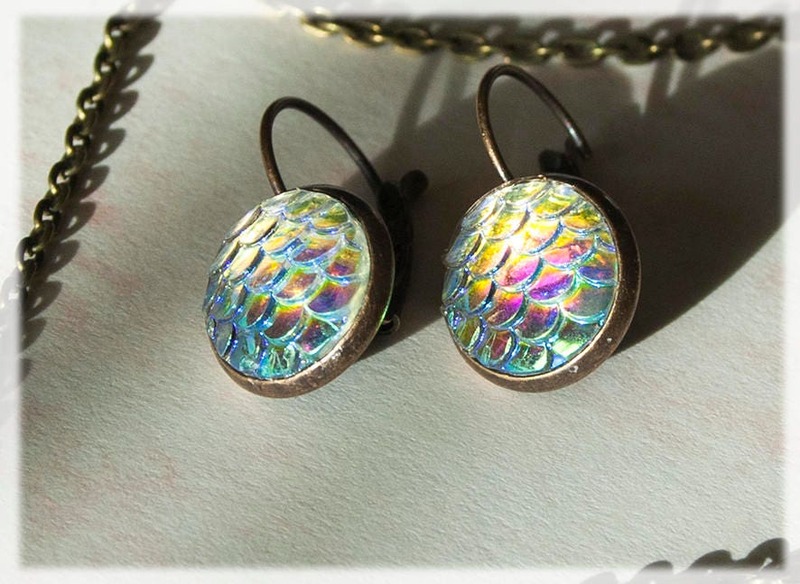 Enchanting iridescent bronze tone mermaid cabochon scale jewelry set featuring matching pendant, earrings and bracelet, all hand crafted in my magical faery studio. 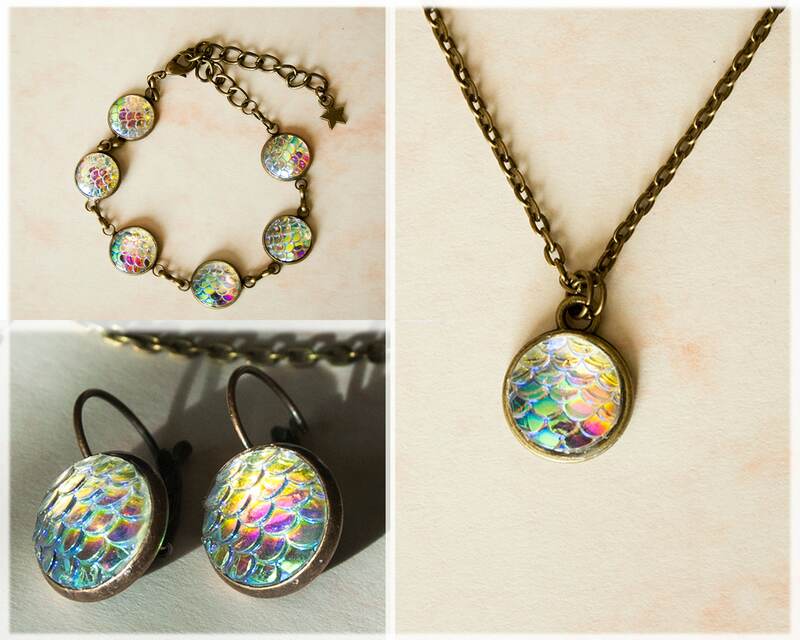 Shimmering iridescent rainbow blues that remind us of the deep Ocean, these little pendant and bracelet set would make a perfect gift for any mermaid fan! 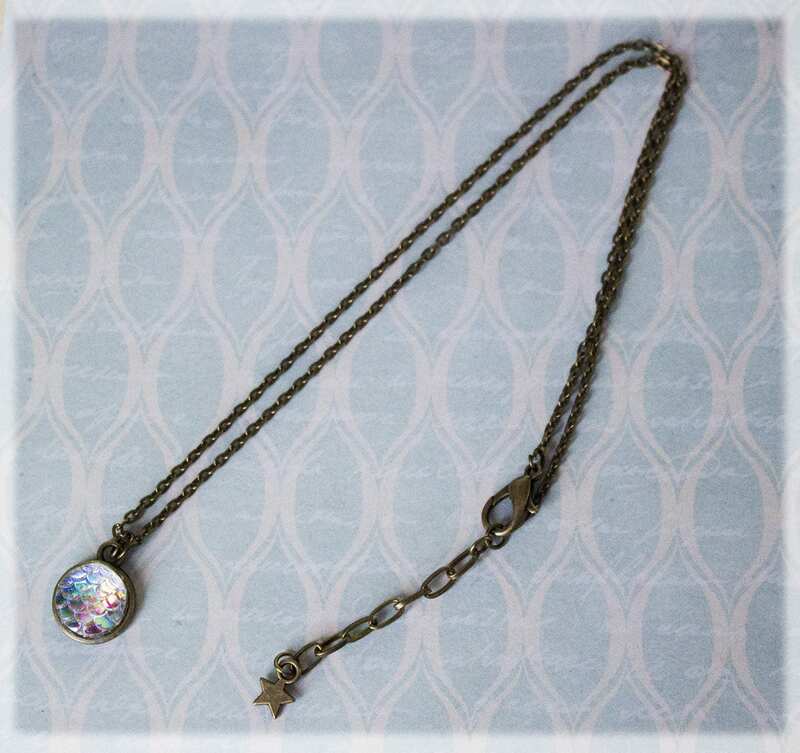 ~ Size: The necklace comprises of a antique bronze plated 3 x 2 mm textured cable link chain with lobster clasp, approx 18 inches in length. 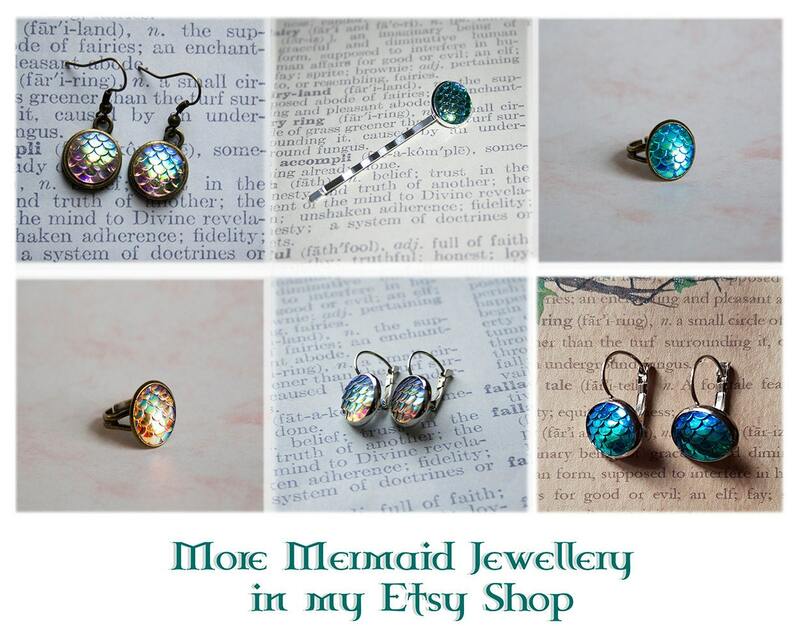 ~ Measures approx 18 cm and with x6 12 mm round mermaid scale cabochons. 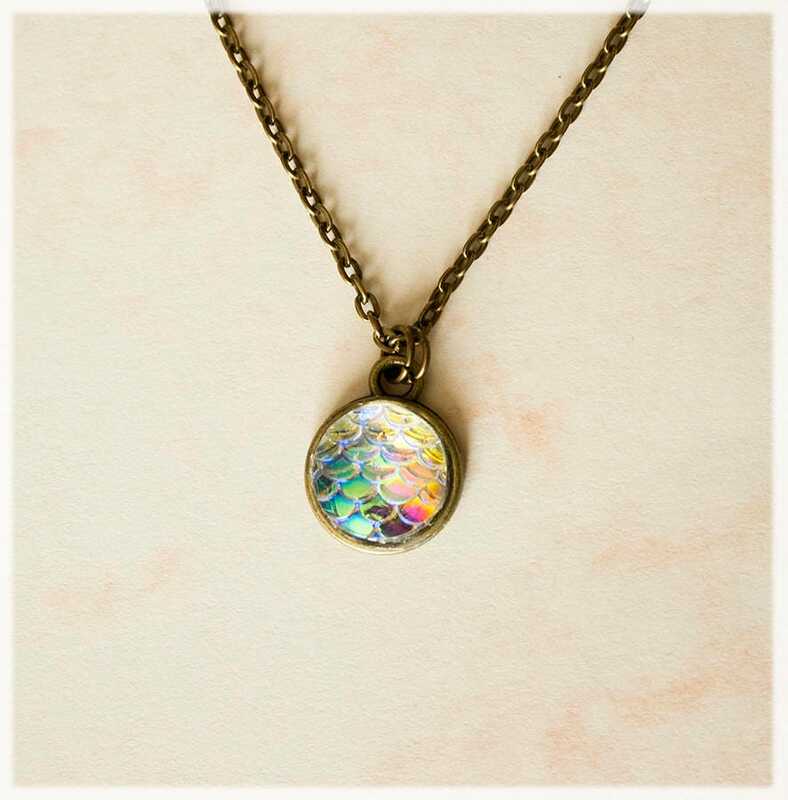 ~It comes complete with a lobster style clasp and an extension/safety chain and a small bronze star charm. 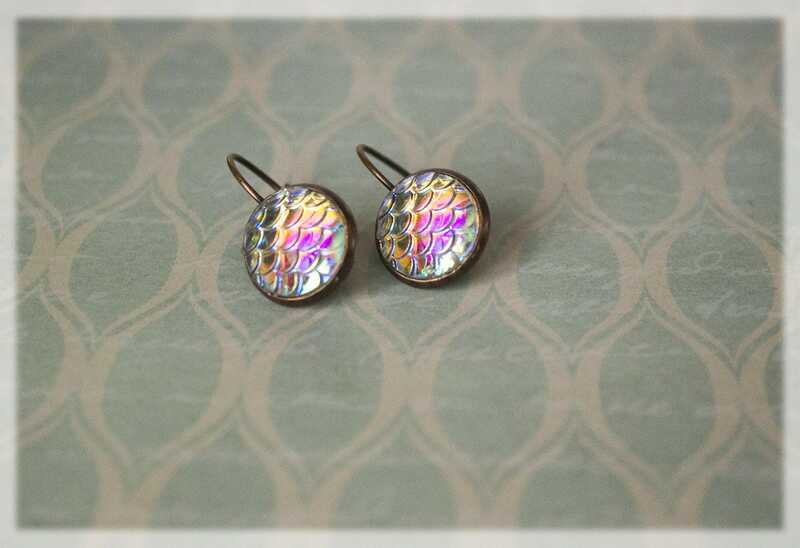 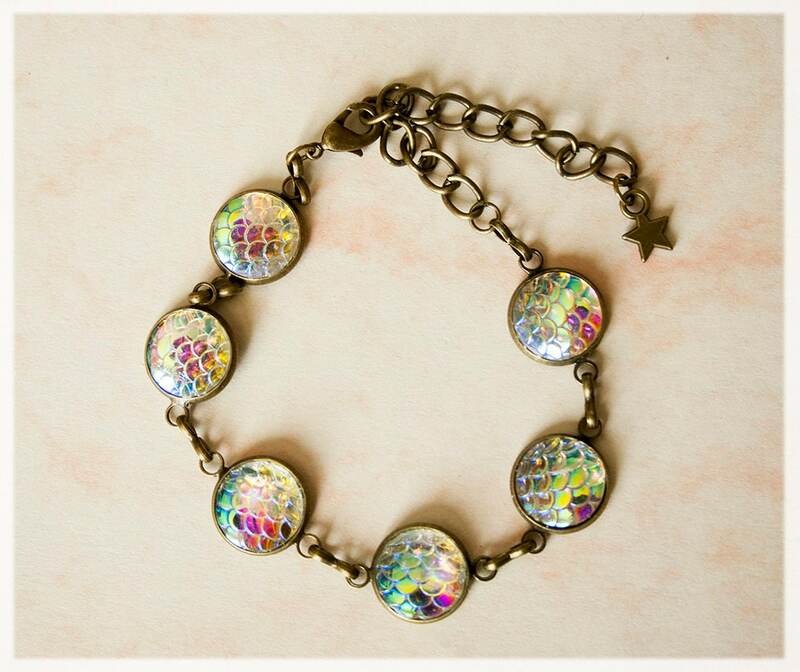 ~ Size: Approx 14 mm wide, 24 mm long, Tray, 12 mm inner diameter. 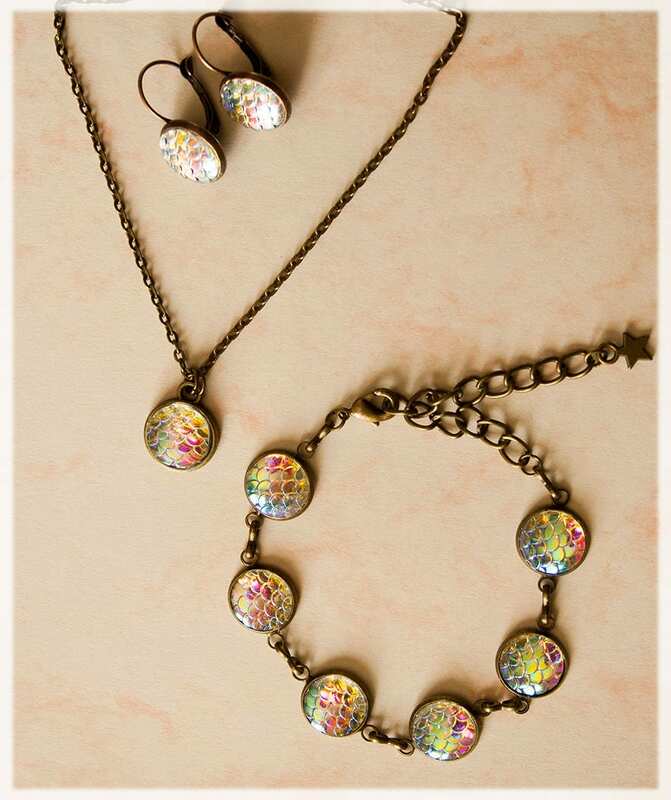 Your magical jewelry set will arrive gift wrapped and in a lovely organza bag. 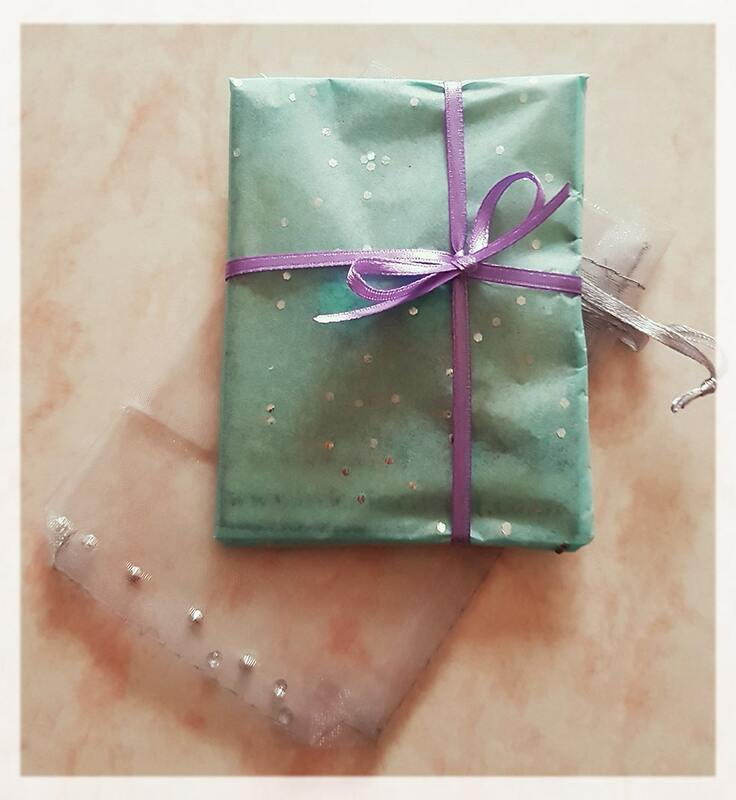 It will also be carefully wrapped in bubble wrap to secure in transit. 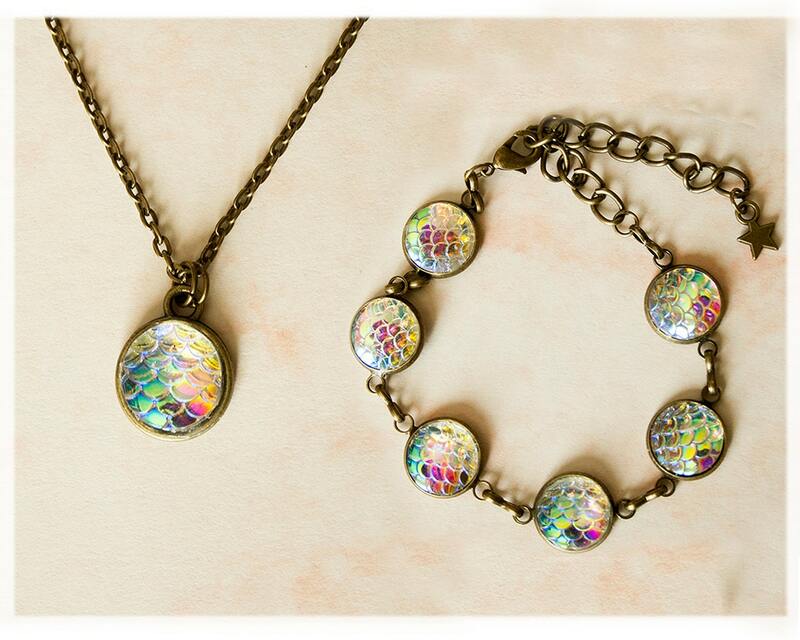 Dainty and vintage style, this would be great as a gift or to treat yourself with an unique set of mermaid jewels!